On 31 December 2016, Pashynskyy shot a man's leg after he allegedly attacked him on the road. 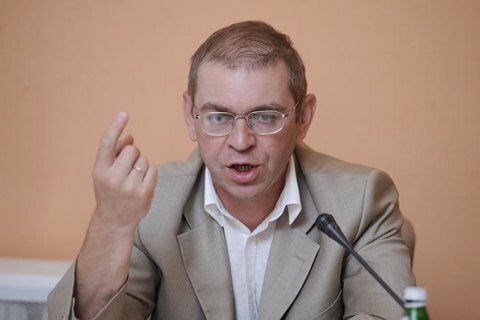 Kyiv's Pecherskyy district court has obliged the Prosecutor-General's Office to resume the criminal investigation into the shooting incident involving MP Serhiy Pashynskyy who wounded Vyacheslav Khimikus in Kyiv Region, the victim's lawyer, Maryna Parinova, has said. "Today the court upheld the demands of our lawsuit in full," she said. The court invalidated and cancelled the prosecutor's resolution to close the case, thus ordering the Prosecutor-General's Office (PGO) to resume the investigation. As reported earlier, on 26 July, the PGO closed the case over the absence of elements of a crime. On 21 August, Khimikus's lawyer appealed the case. Pashynskyy wounded Khimikus with a gun during a spat on a motorway near Vasylkiv, Kyiv Region on 31 December. The MP said that he was attacked by Khimikus, while the latter claims the opposite.